Matjash Mrozewski is a director and choreographer with a twenty-five-year career as creator, performer, teacher and collaborator. His professional experience encompasses the worlds of theatre, dance, opera, musical theatre, and film. 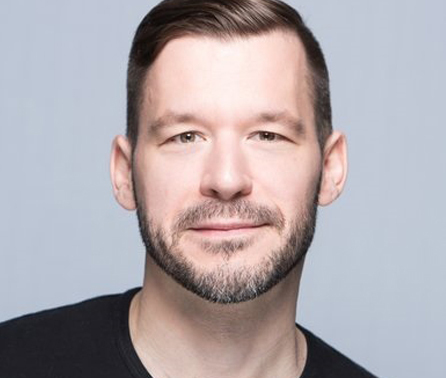 Selected directing credits include the North American premiere of Mark Ravenhill’s Candide (George Brown Theatre), the world premiere of Jordan Tannahill’s Botticelli in the Fire at Canadian Stage (Dora award for Outstanding Production) and The Comedy of Errors (Shakespeare in High Park). Since his choreographic breakout, A Delicate Battle (choreographed for the National Ballet of Canada in 2001), Matjash has created works for companies across North America, Europe and Australia. Matjash is a graduate of the Canadian Stage/York University MFA in large-scale theatre directing. He is the recipient of two Dora award nominations for Outstanding Choreography and one for Outstanding Direction.